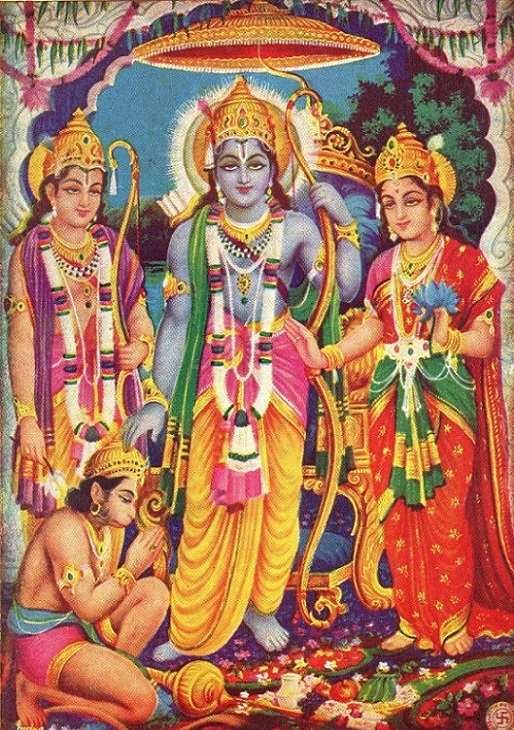 When Lord Rāmacandra, the Supreme Personality of Godhead, was the King of this world, all bodily and mental suffering, disease, old age, bereavement, lamentation, distress, fear and fatigue were completely absent. There was even no death for those who did not want it. All these facilities existed because of Lord Rāmacandra’s presence as the King of the entire world. A similar situation could be introduced immediately, even in this age called Kali, the worst of all ages. It is said, kali-kāle nāma-rūpe kṛṣṇa-avatāra: Kṛṣṇa descends in this Kali-yuga in the form of His holy name—Hare Kṛṣṇa, Hare Rāma. If we chant offenselessly, Rāma and Kṛṣṇa are still present in this age. The kingdom of Rāma was immensely popular and beneficial, and the spreading of this Hare Kṛṣṇa movement can immediately introduce a similar situation, even in this Kali-yuga.